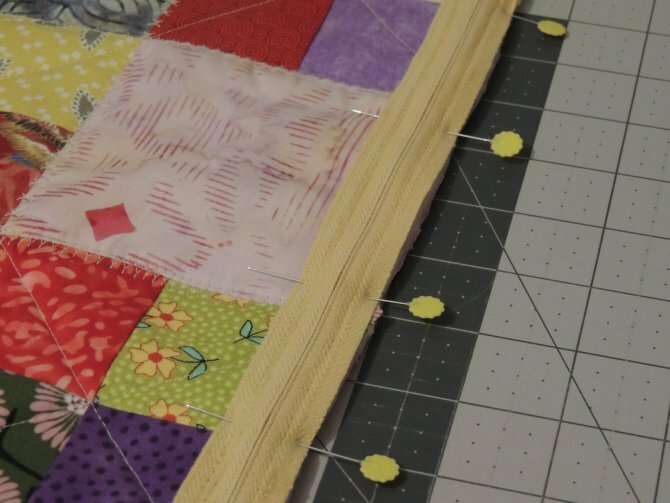 The PFAFF quilt expression 720 has just over 400 decorative stitches! Sarah uses the Handlook Stitches to quilt the back side of this cheery cushion cover, embellishing it like Mother Nature uses flowers in the spring to embellish our gardens. 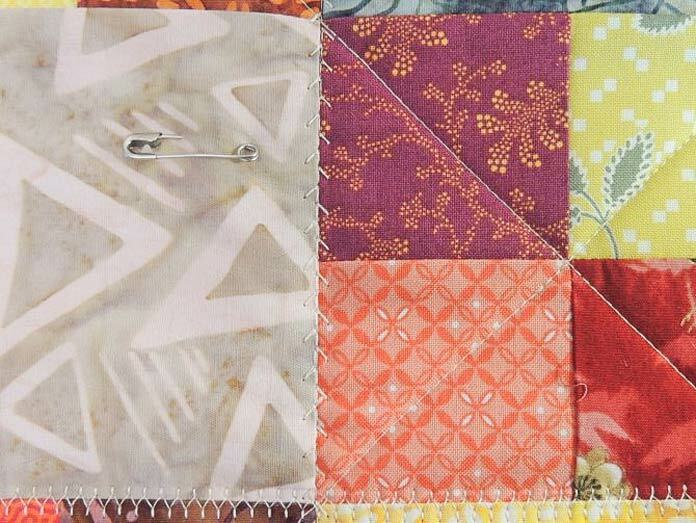 Just a few of the 400 decorative stitches on the PFAFF quilt expression 720 – yours to explore! 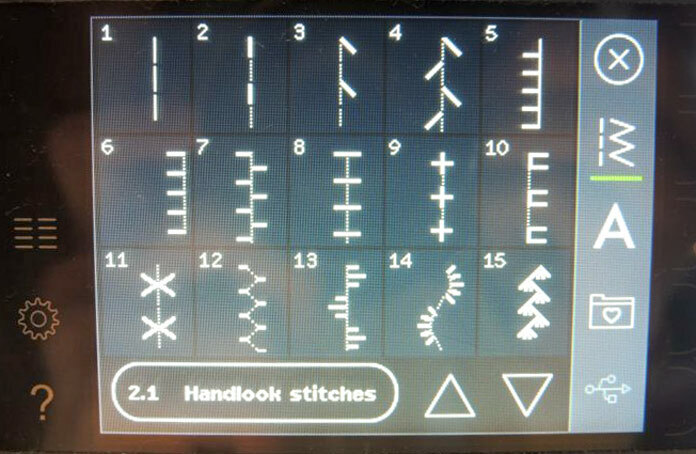 Sarah will also talk about how the Patch Program on quilt expression 720 helps with piecing patchwork. This is a very helpful feature you’ll want to use when piecing bigger quilts, in essence, it repeats the seam length over and over and can be used with both utility and decorative stitches. Like I said, very helpful! Furthermore, she uses scraps in her stash (which I also call treasures) to honor Earth Day: reduce, reuse, recycle! By Friday, Sarah finishes the Umbrella Cushion Cover by inserting flawlessly a zipper closure. Once finished with this free pattern next week, the umbrella patchwork will certainly inspire some rain, which in turn, together with the sun, make all the lovely flowers grow! 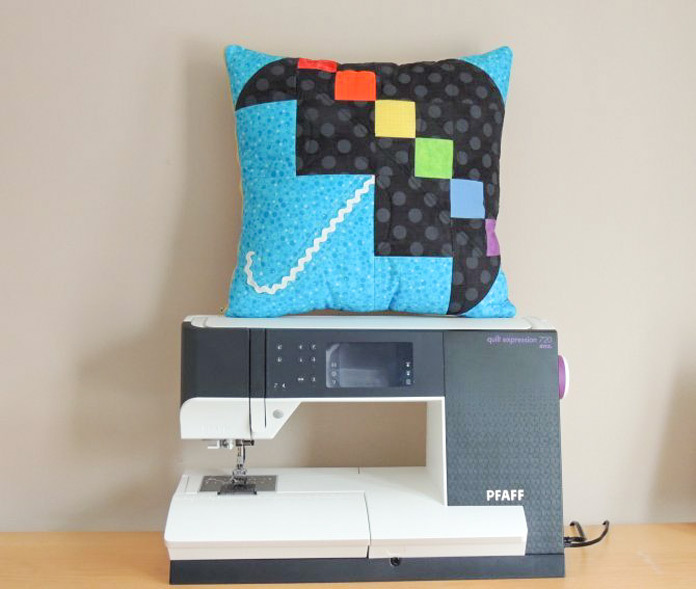 Join Sarah for a fun week with the PFAFF quilt expression 720. Sarah finishes the Umbrella Cushion Cover by inserting flawlessly a zipper closure. I have some of these stitches on my Pfaff machine! I will have to try them out now!